Israeli soldiers abducted, on Saturday at dawn, two Palestinians in Bethlehem and Qalqilia, in the occupied West Bank. 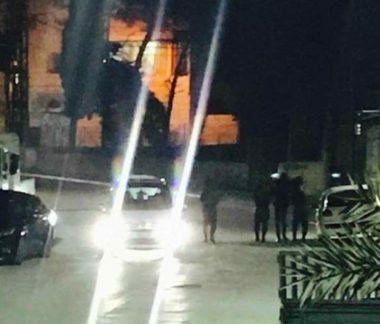 The soldiers installed a sudden military roadblock at the entrance of Beit Fajjar town, south of Bethlehem, searched many cars and interrogated dozens of Palestinians while inspecting their ID cards, before abducted ‘Aws Majed Thawabta, 30. In addition, the soldiers abducted Ra’ed Salim Radwan, 23, at a military roadblock near Ezbet at-Tabib village, east of Qalqilia, in northern West Bank. On Friday at night, the soldiers released Ahmad Abu Arafa and Tawfiq Abu Dheim, who were taken prisoner while leaving the Al-Aqsa Mosque, in occupied Jerusalem. Prior to their release, the two Palestinians were handed orders preventing them from entering Al-Aqsa for two weeks. On Friday evening, the soldiers abducted Rafat Najib Jerusalem’s Old City, and moved him for interrogation at the al-Qashla detention center near Hebron Gate.